This Spinach Dip is another one of the tasty treats I made last weekend while partying it up in my pjs. 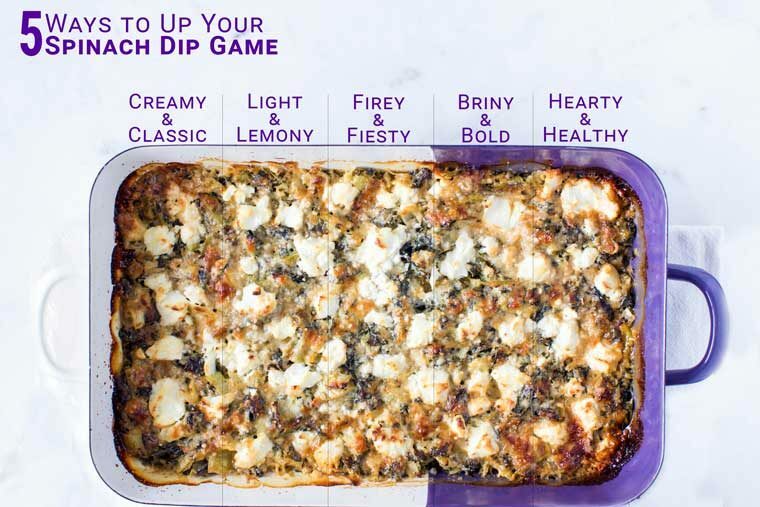 And while it might seem a little strange to make a casserole-size party dip when you are a party of one, lets not judge – I am just getting ready for the 2nd biggest food holiday of the year (yes, that is a thing). Whether you watch for the football or the commercials, we all know its the food everyone really cares about. 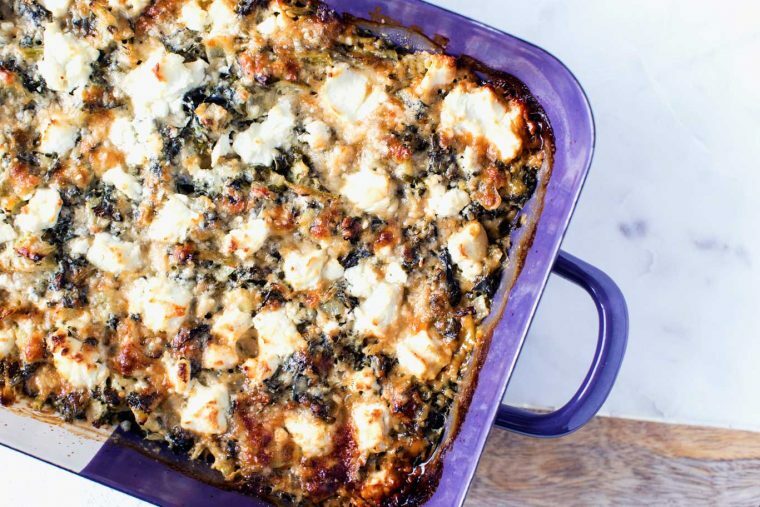 So make people happy with spinach dip! I did some interwebs research for fun food facts about this wonderful holiday. Want to hear ’em!? Ok good. You can make this ahead of time and just pop it in the oven when you are ready for some creamy dreamy deliciousness. It plays nice with whatever dipping instruments you have – i would personally like a crusty baguette or na’an to go with it but I am a bit of a bread nut so feel free to just ignore me and go with whatever you like! The 5 variations are explained in the recipe notes – what to sub in or add etc. I hope it is clear but drop me a line if you have any questions!! And let me know what variation you make! Preheat oven to 450˚F and have a 9x13 inch casserole dish ready. Heat up the oil in a large sauté pan. Once hot, add the onion and cook stirring often until starting to turn translucent (3-5 minutes). Add the garlic and some salt and cook another minute or two. Add the spinach and cook over medium heat, stirring occasionally, until completely thawed (5-7 minutes). 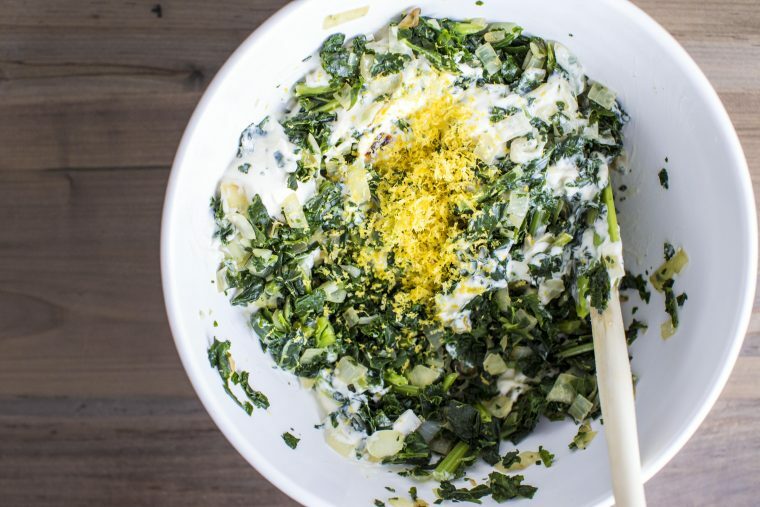 In a large bowl, combine the mascarpone, sour cream, mustard, ¾ cup parmesan and lemon zest and juice. Add the spinach to this and mix well. Season generously with salt and pepper. Pour everything into your 9x13in pan, spreading it out evenly. 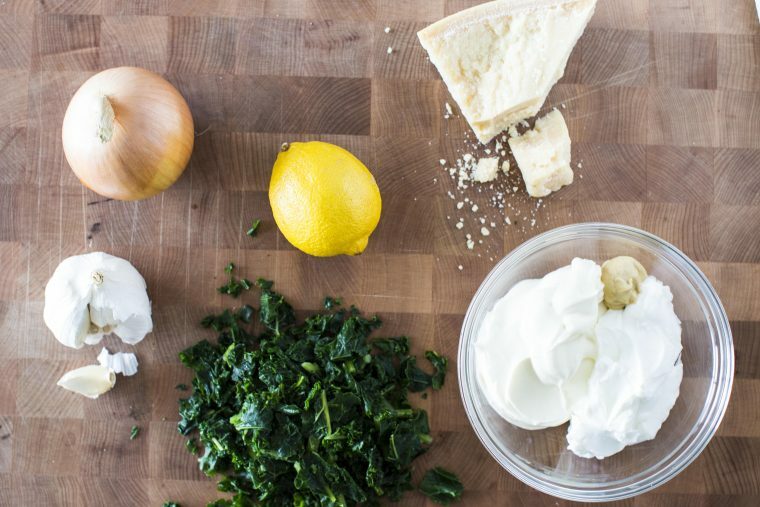 Crumble the goat cheese across the top and sprinkle remaining ¼ cup parmesan. Cook for 15-20 minutes, until it is bubbling at the edges and the goat cheese has browned slightly.